The luminous Rae Cosmetics studio sits on W. 2nd street in downtown Austin. Apart from the bright pops of color from the makeup, the interior of the studio is entirely white. Posters of athletes adorn the wall. A ballet dancer, a cyclist and a triathlete model the makeup, vouching for its resistance to heat and perspiration. The owner, Rochelle Rae, enters the room. She is tall and striking in a printed floor-length dress and black high heels. Her long blonde hair is pulled back into a half up-do while her curls cascade off of her shoulders. Though Rae seems intimidating at first, she is soft-spoken and down to earth, seemingly un-fazed by her presence on various magazine covers displayed throughout the studio. Rae graduated college with a degree in Fine Arts. After college, while doing graphic design work for an agency, she became friends with the makeup artist her agency brought in for photo shoots. From there, she began assisting with makeup whenever she could. Rae moved to Los Angeles to study at Makeup Designory. She decided to move because Austin only had cosmetology schools, and Rae didn’t want to cut hair or be an aesthetician. She wanted to be a makeup artist. While Austin does not require a license to practice makeup professionally. Rae wanted to gain credibility through education. When Rae returned to Austin, she found herself at odds with the Texas heat. Working on photo shoots and films, the high temperatures forced her to re-apply heavy makeup over and over again. “I was basically a glorified sweat-soaker,” she says. Rae needed makeup that could withstand the heat and allow her to work without constant interruption. She also wanted makeup to hold up at the gym. As a kid, Rae says people didn’t hang out at the gym — they worked out and went home. In her opinion, the gym is now a lifestyle. She finds that for many women, the gym has turned into means of meeting people, socializing and making plans. “For me, it’s not an option to do all of these social things and not wear makeup,” Rae says. 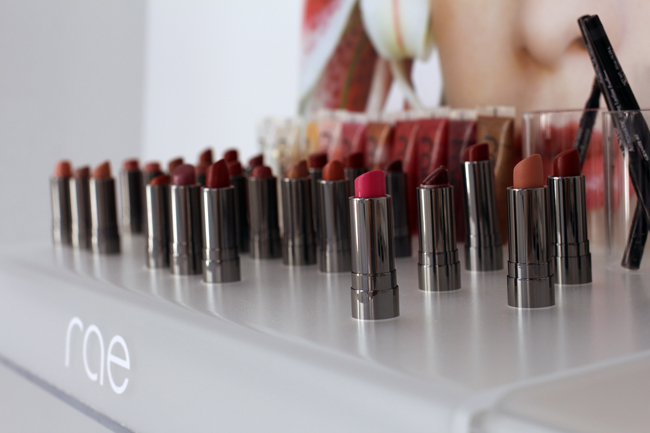 That’s where Rae Cosmetics came to fruition. 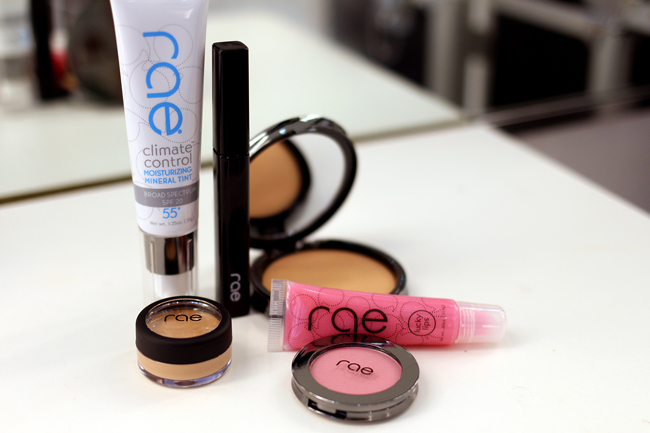 Rae wanted to create a melt-proof makeup for women with active lifestyles. “[Rae] started for sweaty girls. And that’s everyone in Texas,” she says. The makeup line, which ranges from mascaras to powders, features hypoallergenic oils and lightweight coverage. Rae struggled with acne throughout high school and is allergic to many fragrances, sunscreens and oils, so she wanted the products to be good for skin. 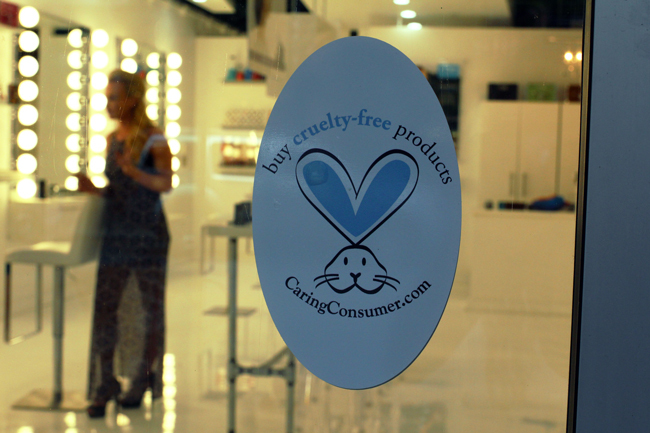 For these reasons, Rae refuses to cut corners on ethical decisions when it comes to Rae Cosmetics. “She uses her business as a platform to voice issues important to her. The company works with the House Rabbit Resource Network, a non-profit dedicated to the rescuing and adopting out house rabbits, while educating people about how to care for them as pets. Rae Cosmetics also advocates Girlstart, an organization that’s mission is to empower, motivate, and educate girls in science, technology, engineering and math (STEM). Smartie, a shade created specifically for Girlstart, is a permanent addition to Rae Cosmetics’ Lucky Lips line of glosses. The proceeds from every Smartie sold are donated to Girlstart. While the makeup industry may seem glamorous, the reality of running a business presents many challenges. Rae says that it’s hard for a small company to produce a new product, let alone a line for each season. Because of the many factors that producing a product entails — the colors, packaging, the sticker on the box — the biggest challenge Rae faces is finding the money, figuring out where to spend it and where to get more. “I always joke. Everything seems like it would be easy if you had a lot of money,” she says. It may be hard to believe that a woman who appears on television and magazine covers could have ever been shy. “I was so shy I could barely order a pizza,” Rae admits. But if she was going to get work, she had to force herself to talk to people. If she was going to create a makeup line, she had to let people know about it. Climate Control Mineral Tint — SPF 20 Rae: This is a tinted moisturizer, sunscreen, and lightweight foundation all in one. Super easy to use, you kind of get three steps, and it takes two seconds. It’s titanium dioxide and zinc oxyde (like zinc worn at the beach) based, so it stays on when you sweat or when it gets wet. It’s water-resistant without being too heavy or clogging pores.